Denture Services - Thomas E. Cooke, D.D.S. Dr. Tom Cooke makes dentures for patients in the Raleigh, NC area. Dr. Thomas Cooke comes with 30 years experience in making dentures. He ran a denture clinic in the 1990’s. Come see Dr. Cooke for a great fit. To schedule your appointment for dentures, please call our office at (919) 872-1700. Dentures are used to restore the normal function of the mouth that has been lost due to tooth loss; chewing, speaking, and facial support. Dentures,in dentistry,are broken down into two categories: removable and fixed dentures. A removable denture can be a complete denture (also called a full denture) which replaces all the teeth that were once present. Or it can be a partial denture which replaces some teeth and is supported by the remaining teeth and soft tissue. A fixed denture is a permanently cemented row of crowns called a bridge. 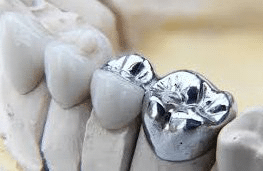 The (Fixed dentures in dentistry are discussed on our Crown and Bridge page). There are many things that a family dentist can do with false teeth to improve the smile of a patient other than veneers and orthodontics. Many times a dental office will make dentures but will not perform tooth extractions. 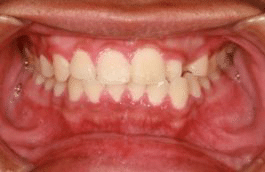 A patient with severe needs that a periodontist cannot help usually needs dentures.Dr. Cooke will do all that is needed in his office to correct his patients’ problems without referring them out to another dentist. 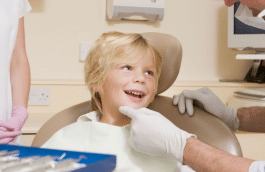 Dr. Cooke has an oral surgeon available to help his patients, if needed, but most dental extractions are done by him. 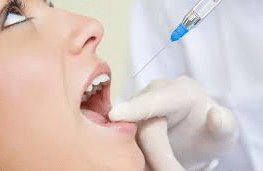 If sedation is needed, Dr. Cooke has options that can be very helpful.If false teeth are not what you want Dr. Cooke can talk to you about dental implants. Complete dentures replace all the teeth in the upper and/or lower jaw. A complete denture is made for the patient that has had all their teeth removed and has already healed. It can also be for the patient that is going to have all their teeth removed and is willing to wait six weeks for 99% of the healing to take place. 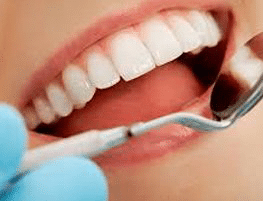 Immediate dentures are made for the patient that wants to have their remaining teeth removed and have the denture placed at the same appointment. 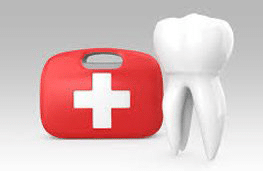 The advantage of immediate dentures is that the patient does not have to go without teeth. The disadvantage of immediate dentures is that the jaw bone and the soft tissue shrinks while they heal and this leads to a denture that gets loose little-by-little for about six weeks while 99% of the healing takes place. After the six weeks of healing, a procedure called a reline can be performed that will bring the immediate denture back to its optimal fit. A cast partial denture is a long term partial that is designed to last. 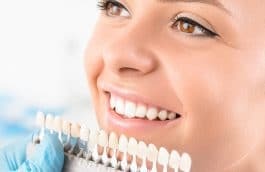 An acrylic partial is one that is designed for short term needs such as implant cases or cases where a patient needs some natural teeth removed and has a healing period to get through prior to getting a cast partial. When considering a partial denture, the patient’s remaining teeth must be evaluated for proper health because they will be used for the foundation of the partial denture. The steps involved in making false teeth are very similar with all types. An impression appointment is the first appointment. This is when the patient comes in and a tray with soft material is placed in the mouth; it gets hard in about 3 minutes. The dental lab makes the first stage of the denture and sends it back for a wax try-in which gives the patient a view of what their denture will look like before it has been completed. 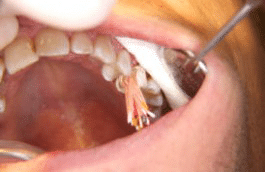 If the patient is getting an immediate denture, this wax try-in step is usually skipped. If the wax try-in passes the evaluation of the dentist and the patient, then the waxed denture is sent back to the dental lab for processing. The completed denture is then sent back to the dental office for the final visit. After you take home your denture you may need adjustments. This is where the denture may cause some pain in your mouth from a place that is causing too much pressure. A simple 5-minute visit is needed to have your new denture altered while it is settling in. Yearly checkups are highly recommended. After you get your false teeth you should have your mouth checked on a yearly basis even if you are not experiencing pain. For more information on this dentures and false teeth, please go to the 5 things you should know about dentistry and choose the appropriate phrase to read related articles that Dr. Cooke wrote for American Chronicle online magazine. Dr. Cooke works with patients in Raleigh, NC to provide them with complete, immediate and partial dentures. Make an appointment with him by calling 919-872-1700.